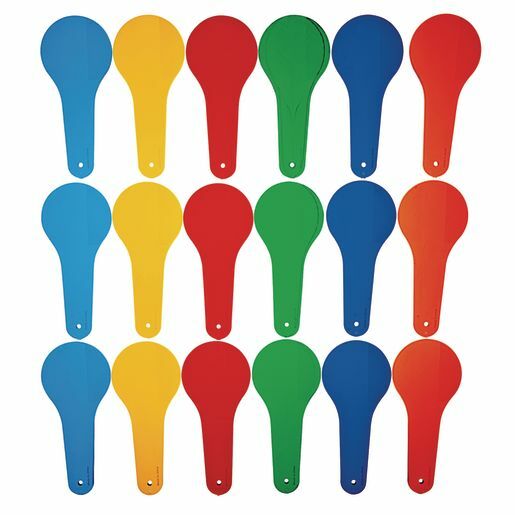 Designed for use in sand, clay, and modeling activities, these 18 colored, translucent paddles can be put on top of each other to illustrate how to combine colors to make new colors. 3 each of Blue, Green, Orange, Purple, Red, and Yellow. 2"W x 6"H.